Learn how to qualify for your skydive instructor rating. All you need to know about skydive instructor rating course locations, course curricula, registration pre-requisites and certification criteria, validity of your skydive instructor ratings, tuition fees and booking procedures. 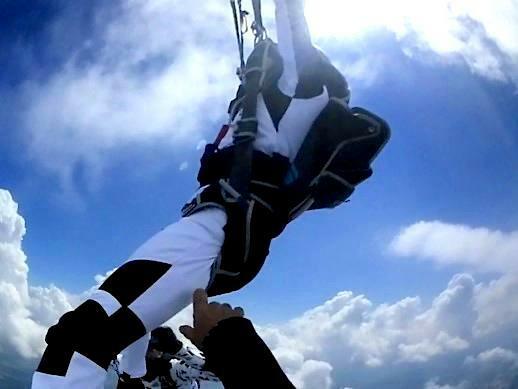 The Flight Club skydiving school administers United States Parachute Association (USPA) sanctioned skydive instructor rating courses and UPT manufacturer endorsed Vector/ Sigma Tandem instructor certification courses upon request. 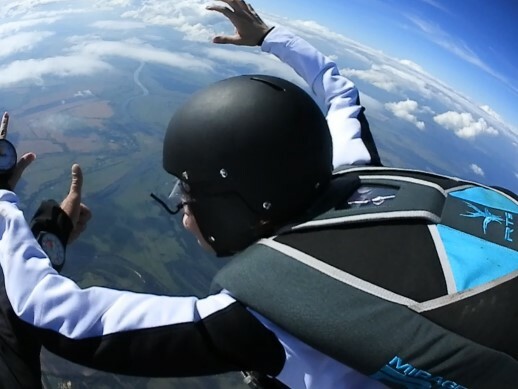 Qualified candidates can schedule a skydive instructor rating course with the Flight Club skydiving school, located on the territory of Aerograd Kolomna near Moscow in Russia. 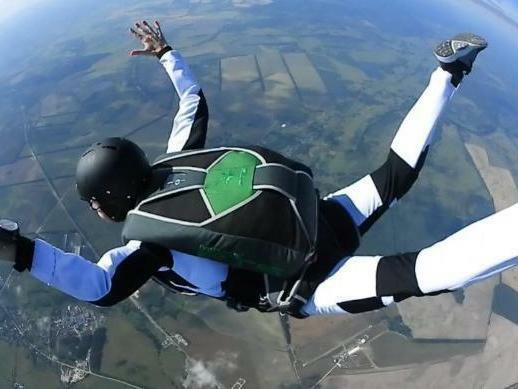 Alternatively, we can dispatch one of our course directors to administer the skydive instructor rating course at any current USPA (foreign or domestic affiliate) group member drop-zone. 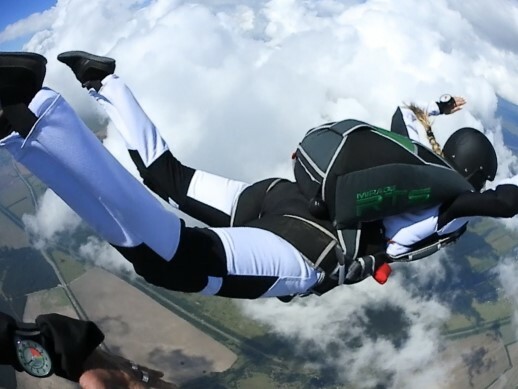 the USPA Accelerated Free-Fall instructor rating course (AFF IRC) focuses on transmitting knowledge, life-saving techniques and in-air skills required to effectively coach and body-guard novice free-fall skydiving students. the USPA coach rating certification course focuses on transmitting knowledge and teaching techniques required by coaches to successfully convey fundamental skydiving and canopy piloting skills to skydive students training towards their USPA A-license. training jumps and conduct re-currency training and jumps with licensed skydivers. Coach course candidates have to satisfactorily conduct two group free-fall training jumps covering targeted learning objectives for ISP category G and category H student skydivers. During these jumps the apprentice coach must show solid exit and fly-away skills, quarterback set-up distances allowing for the student to train with sufficient repetition and demonstrate safe break-off behaviour. Candidates have to satisfactorily conduct two sample training sessions from the USPA ISP syllabus' general sections of the first jump course. In addition, candidates have to satisfactorily conduct two sample training sessions effectively preparing a student for ISP category G and category H skydives. Finally, candidates have to demonstrate their skill analysis skills by completing an observation plan comparing the actual performance of a live student to pre-determined qualitative and quantitative performance benchmark criteria. The results of this process have to be presented during an effective debriefing session. To book or to schedule your USPA coach course please fill in and send us the initial booking request form. Feel free to contact us with any unanswered questions which you might have. been signed off on the respective course pre-requisite skill and experience requirements and successfully attended an USPA instructional rating course. These ratings are successive, meaning you can't become an instructor without being a rated coach, nor can you become an examiner if you do not hold an instructor rating. Coach rating holders are cleared to skydive with self-supervised students in preparation for their USPA A-license and to teach the general (non-method-specific) portions of the first-ground school. All coaches work under supervision of an appropriately rated instructor and cannot endorse USPA licenses. You must hold a current instructor- or an examiner rating for the respective student training method in order to engage students. Instructors have the authority to administer USPA A-, B- and C-license exams. Examiners are senior level instructors who have successfully attended an USPA IERC. Examiners have the authority to teach students, to conduct instructor rating certification courses in their respective discipline(s) and to administer USPA A-, B-, C- and D-license exams. The USPA coach certification course will keep you engaged for 32 hours over a 4 day period. Flight Club USPA coach course conductors will endorse the successful candidate's coach rating proficiency card and log-book with a rating recommendation to USPA's Safety and Training department. This recommendation will serve as a temporary USPA coach rating for the duration of 30 days. The coach rating application will be processed and finalized at USPA HQ within that time-frame and the official endorsement will be entered into the successful applicant's Data Card. The privileges and responsibilities of this rating travel with the holder and are recognized world-wide as valid professional qualification at any USPA affiliate drop-zone. Your USPA coach rating will renew annually with your membership, provided you meet the associated currency requirements. For USPA coach certification courses hosted by the Flight Club skydiving school at Aerograd Kolomna, we charge USD 640.00/ candidate. This includes tuition fees, examiner and candidate jump tickets for evaluation skydives and associated rating processing fees at USPA. For USPA coach rating certification courses which require our examiners to travel, a surcharge covering air-fare, transit and accommodation applies. In order to give our candidates the best possible chance of successfully full-filling the required in-air performance criteria during the actual coach course evaluation jumps, we offer interested participants the opportunity to hone their skills during some training jumps prior to the course. You can book an experienced Flight Club coach to get you ready for combat starting at USD 90.00/ skydive including videos and jump tickets. The basic format USPA coach rating certification course focuses strictly on transmitting knowledge and skills essential to effectively teach skydive students working towards their USPA A-license. 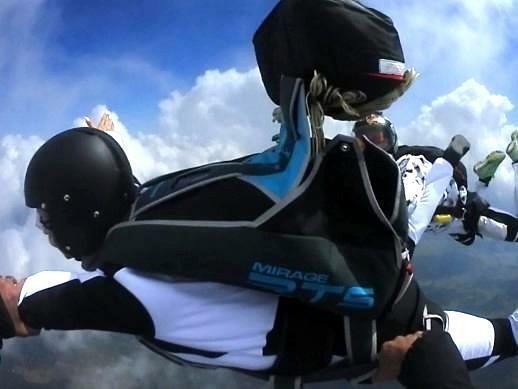 The USPA coach course does NOT train candidates to coach the entire body-flight progression and disregards advanced skydiving skill sets such as turns, sideways motion and super-positional movements. 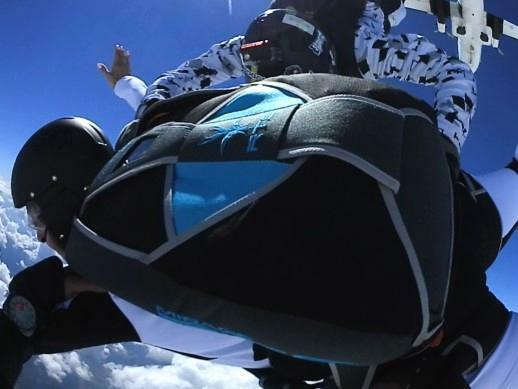 Flight Club offers an advanced progression coaching clinic intended to fill this gap in a 12 skydive follow-up to the USPA coach rating certification course. the advanced progression coaching clinic will keep you engaged for 20 hours over a 2 day period. This follow-up course costs USD 1,080.00 including tuition fees, videos and tickets for you and your mentor, if the course is being administered by the Flight Club school at Aerograd Kolomna. For courses which require our coaches to travel a surcharge covering air-fare, transit and accommodation applies. 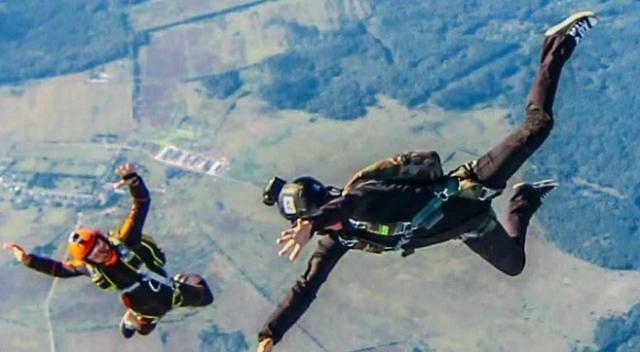 USPA Accelerated Free-Fall instructors are authorized to train and jump with AFF students and to train and supervise non-method-specific students for the USPA A- license. In this role, AFF instructors can administer USPA A-, B- and C- license exams. 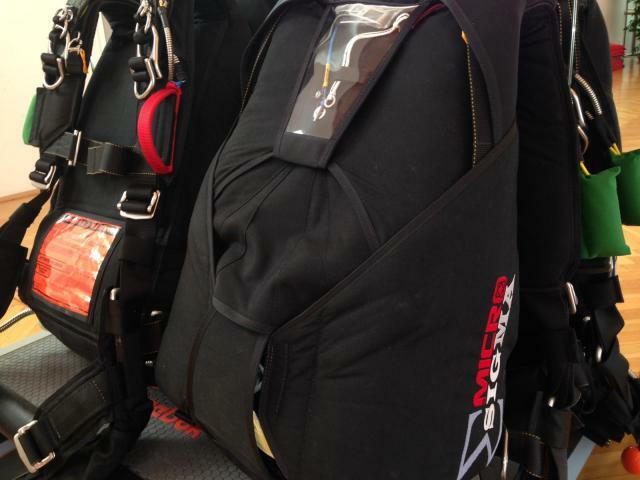 The USPA Accelerated Free-Fall instructor rating course will keep you engaged for 56 hours over a 7 day period. USPA AFF instructor exam (both exams are available in the IRM). - ground preparations: ISP CAT C and CAT D.
Specific scoring criteria is available for review in the IRM on the AFF instructor "training, supervision, debriefing evaluation form". Candidates must score >/= 75% on 3 evaluation jumps, acting once as CAT C main-side instructor, once as CAT C reserve-side instructor and once as CAT D solo instructor. You have 4 attempts to pass three times. Specific scoring criteria is available for review in the IRM on the AFF instructor "in-air skills and instruction evaluation form". Flight Club USPA AFF instructor rating courses include 6 practice skydives leading up to the all-decisive final evaluation jumps. 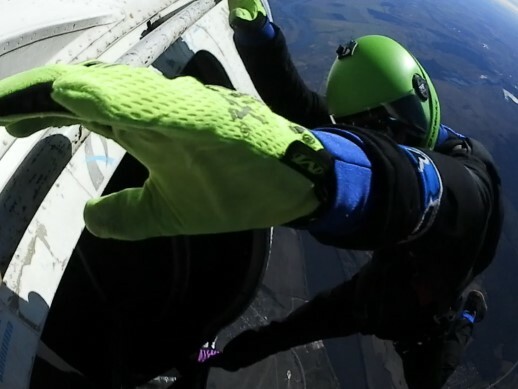 During these low-pressure jumps, we ready our candidates by running them through the free-fall levels of response and by introducing the "7 second dance" as a go-to solution for the bottom-end sequence of any real life Accelerated Free-Fall skydive. the UPT tandem instructor course focuses on transmitting knowledge, life-saving procedures and in-air skills required to safely take passengers on tandem skydives utilizing UPT Vector/ Sigma tandem systems. The Flight Club USPA AFF/ Instructor Examiner will endorse the successful candidate's AFF instructor's proficiency card and log-book with a rating recommendation to USPA's Safety and Training department. This recommendation will serve as a temporary USPA AFF instructor rating for the duration of 30 days. The AFF instructor rating application will be processed and finalized at USPA HQ within that time-frame and the official endorsement will be entered into the successful applicant's Data Card. The privileges and responsibilities of the USPA AFF instructor rating travel with the holder and are recognized world-wide as valid professional qualification at any USPA affiliate drop-zone. Your USPA AFF instructor rating will renew annually with your membership, provided you meet the associated currency requirements. For USPA AFF instructor rating courses hosted by the Flight Club skydiving school at Aerograd Kolomna, we charge USD 1,500.00/ candidate. This includes tuition fees, skydives for candidate and examiner (6 practice skydives + final evaluation jumps) and associated rating processing fees at USPA. For USPA AFF instructor rating courses which require our examiners to travel, a surcharge covering air-fare, transit and accommodation applies. In addition, a standard surcharge of USD 250.00 will be added to the base price for courses in Central Europe and the Middle East to account for elevated slot prices. In order to give our candidates the best possible chance of successfully full-filling the required in-air performance criteria during the actual AFF IRC evaluation jumps, we offer interested participants the opportunity to hone their skills during some training jumps prior to the course. 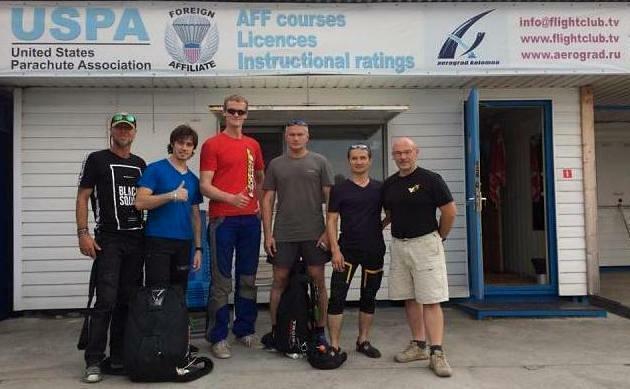 The AFF instructor rating is widely regarded as the most challenging skydive instructor rating there is to obtain. You must be absolutely solid in-air if you want to stand a fighting chance in the final evaluation jumps. You can book a Flight Club AFF/ IE to get you ready for combat starting at USD 90.00/ skydive including ground-training, briefings, videos and jump tickets. To book or to schedule your USPA AFF instructor rating certification course, please fill in and submit the initial booking request form. The respective National Aviation Authority governing skydiving activities in your country of residence/ of activity might require you to obtain an additional domestic qualification before you can legally engage in tandem skydiving activities with real life passengers. Holding a manufacturer endorsed tandem instructor rating will in very most cases greatly simplify the certification-/ rating conversion process to whatever form of regionally valid authorization you might (additionally) require. The Flight Club UPT TD/ IE will endorse the appropriate portions of the tandem instructor candidate's logbook and submit it, together with your tandem instructor certification form and checklist, to UPT for final review and processing. The UPT Vector/ Sigma Tandem instructor rating course will keep you engaged for 40 hours over a period of 4 days. in order for candidates to qualify for the UPT Vector/ Sigma tandem instructor rating they have to satisfy the required performance criteria in all 3 phases of their training. This needs to be documented in the tandem instructor candidate's logbook. For UPT tandem instructor rating courses hosted by the Flight Club skydiving school at Aerograd Kolomna, we charge USD 2,650.00/ candidate. 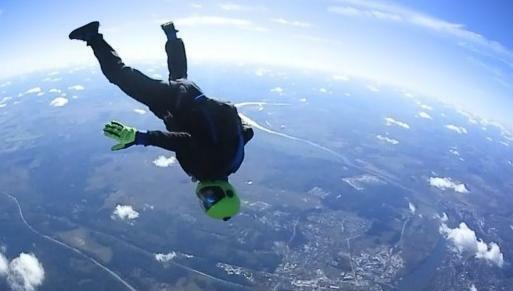 This includes tuition fees, skydives (50 tickets), gear rental (25 jumps) and associated rating processing fees at UPT. For UPT TI rating courses which require our examiners to travel, a surcharge covering air-fare, transit and accommodation applies. In addition, a standard surcharge of USD 625.00 will be added to the base price for courses in Central Europe and in the Middle East to account for elevated slot prices. To book or to schedule your UPT Tandem Instructor rating course, please fill in and submit the initial booking request form. United Parachute Technologies, LLC Vector/ Sigma tandem instructor ratings renew annually, provided the applicant holds a current FAA Class 3 medical (or a foreign equivalent) and meets the mandatory currency requirements.